Illinois Service Resource Center recently published the Silver Anniversary issue of their newsletter. Click here to read about our twenty five years of service! X-Marks the Spot at the Chicago Children's Theatre is an interactive experience with sounds and voices, and touchable and scented props. 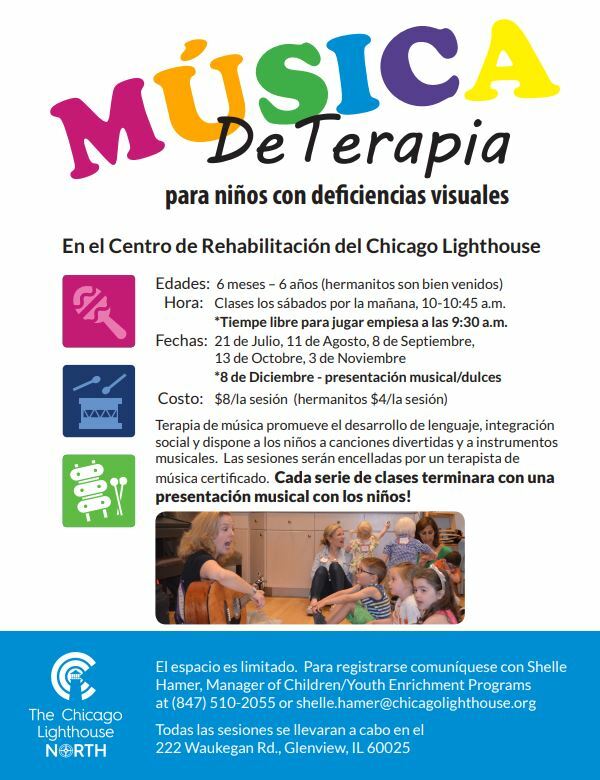 Children aged 2 - 6 will enjoy this FREE event from The Chicago Lighthouse on January 26. Click the flier for more information. Here's another great event from The Chicago Lighthouse. 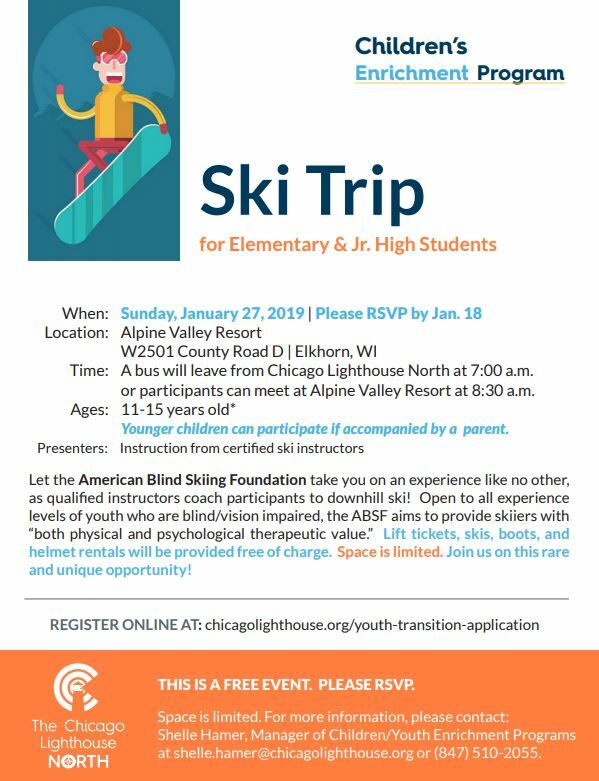 Click the flier to learn about their ski trip on January 27. Sign up by January 18! Applications are now available for the 2019 Blind Service Association Scholarship Program. Eligible blind and visually impaired students are awarded scholarships up to $3,000. Knowing how to use a computer is an essential skill for visually impaired people today. Computer technology makes it possible for people with visual disabilities to perform many of the tasks that sighted people take for granted. In terms of career opportunities and advancement, computer literacy has become a necessity for many jobs. Blind Service Association (BSA) provides computer training to blind and visually impaired students after school or on Saturday. Call 312-236-0808 to learn more. Click here to learn more about Blind Service Association. 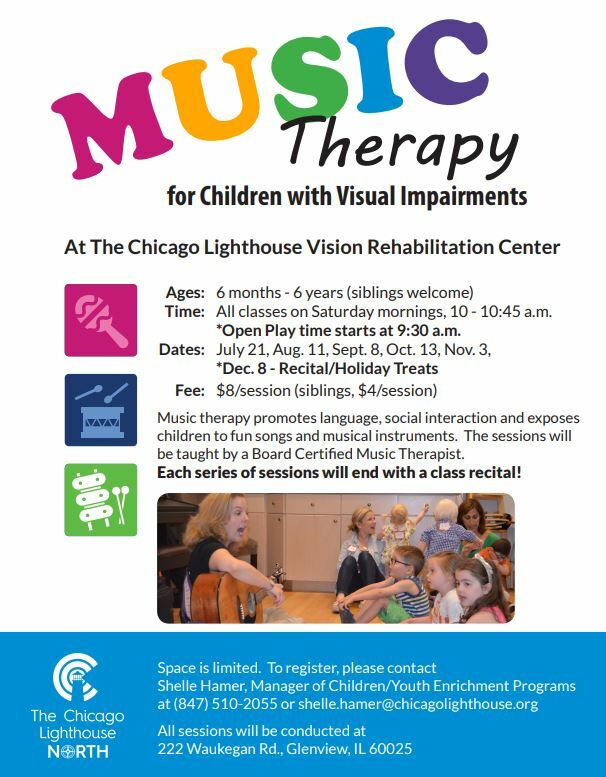 The Chicago Lighthouse offers Music Therapy for Children with vision impairments. Sessions take place on Saturday mornings at 10:00 and cost $8. Space is limited so please register with Shelle Hammer at [email protected] or 847-510-2055. Click the flyer for more details. Para Español. 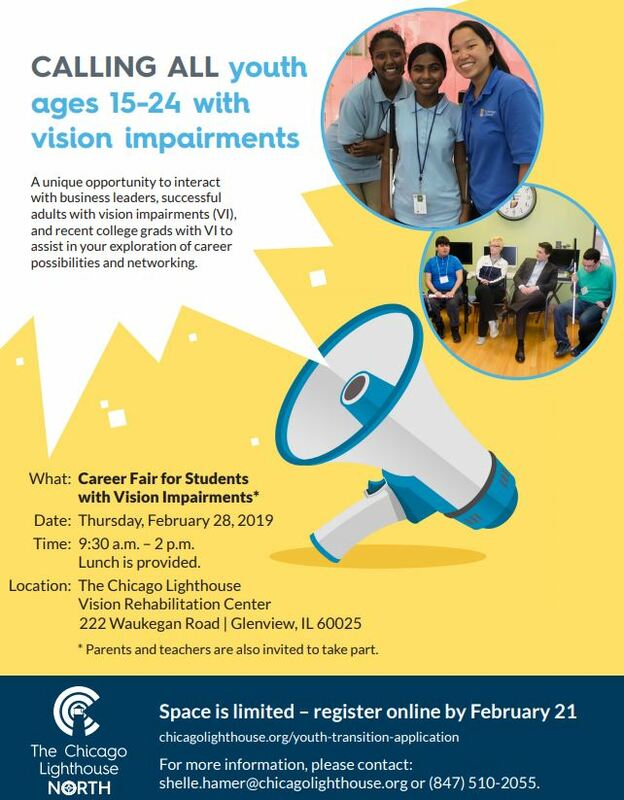 The Chicago Lighthouse will be hosting a Career Fair for students with visual impairments on February 28. Doors Open at 5:30 p.m. | Cards Fly at 7 p.m. Featuring charitable casino games, Texas Hold ‘Em Poker tournament, premium cocktails, Gibsons’ signature dinner and desserts, and over $20,000 in prizes! The American Council of the Blind has a great opportunity for students who are legally blind to earn a scholarship. Over $55,000 in scholarships are awarded to students each year. To be eligible, students need to be legally blind in both eyes, maintain a 3.0 GPA, and be involved in school or local community. The 2019 ACB scholarship application is now open! Click here to access and fill out the form. ACB will be conducting a brief webinar on our scholarship program and the application process. Stay tuned for more details in the coming weeks. The form must be submitted no later than February 15th, 2019 at 11:59 p.m. Central time. For more information, please contact Nancy Christine Feela at (612) 332-3242 or (800) 866-3242 between the hours of 9 a.m. and 2 p.m. (CST). 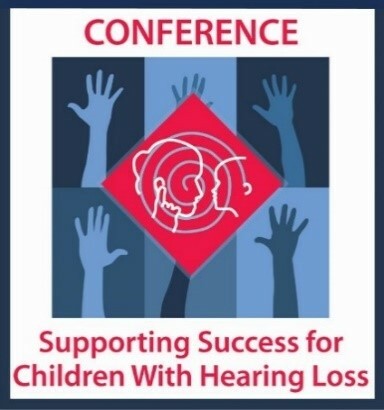 The National Federation of the Blind of Illinois (NFBI), in partnership with the NFB Jernigan Institute and the American Action Fund for Blind Children and Adults, announces the start of the second Nationwide Braille Readers Are Leaders contest. Students compete with others in their grade category in all participating states to read the most Braille pages within the contest period. The top three winners in each grade category are awarded cash prizes, and each student who submits a reading log at the close of the contest will receive a packet of Braille-related gifts. 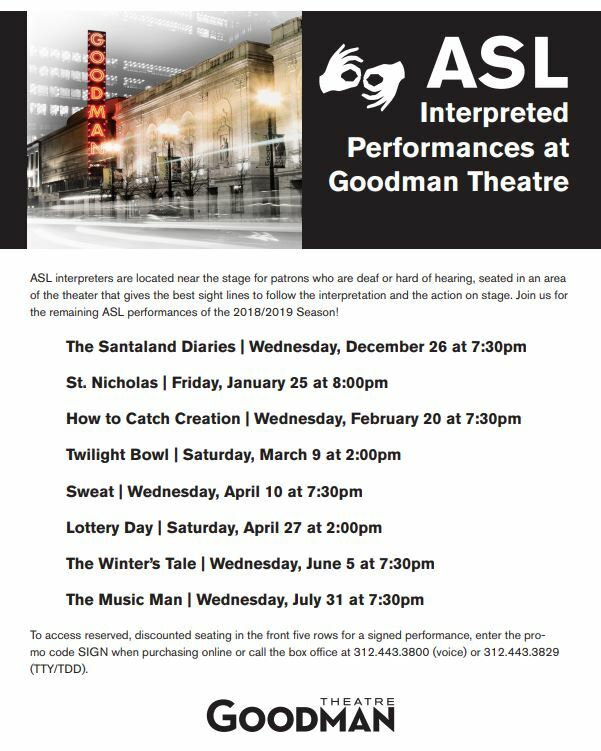 The next ASL interpreted performance at the Goodman Theatre will be St. Nicholas on January 25. Click the flier for details about more great shows. 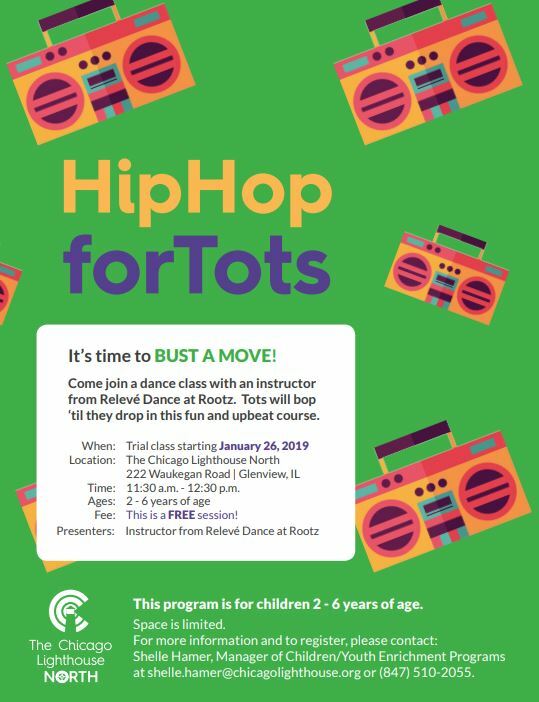 Please sign up by January 24 with the number of adults and children planning to attend. Contact Cara Donahue for more information at [email protected] or 312-227-3061. 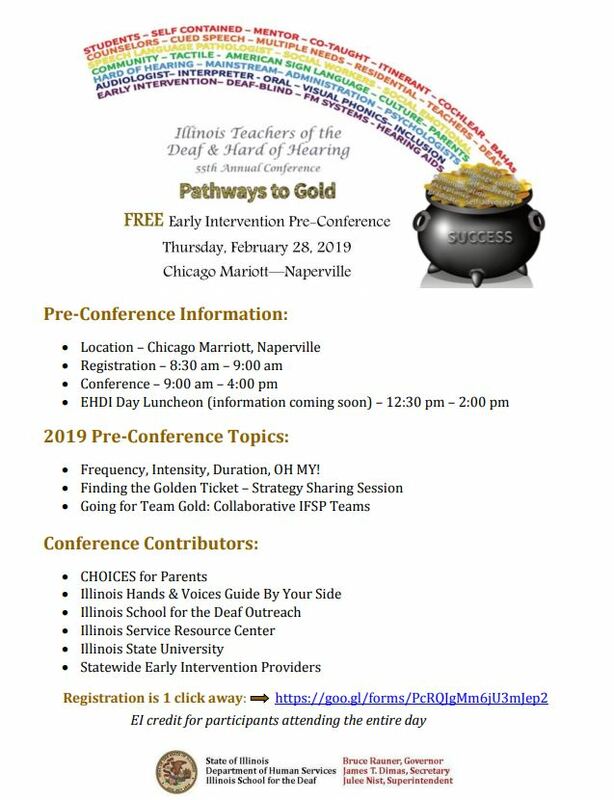 The ITDHH Pre-conference will be February 28, 2019. Click the flyer for more information. 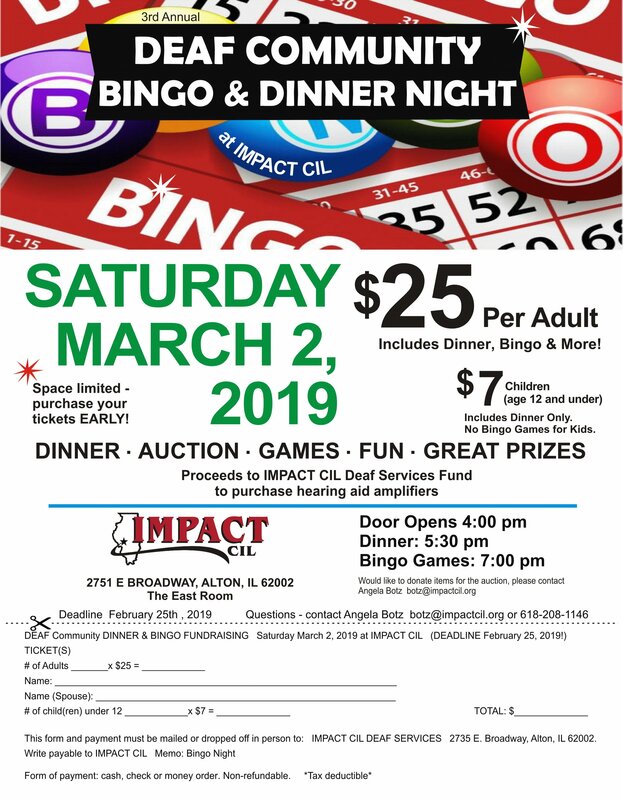 Impact CIL will host a dinner and bingo night on March 7. Call 630-896-6666 or email [email protected] and ask for the Sign Interpreted Performance. 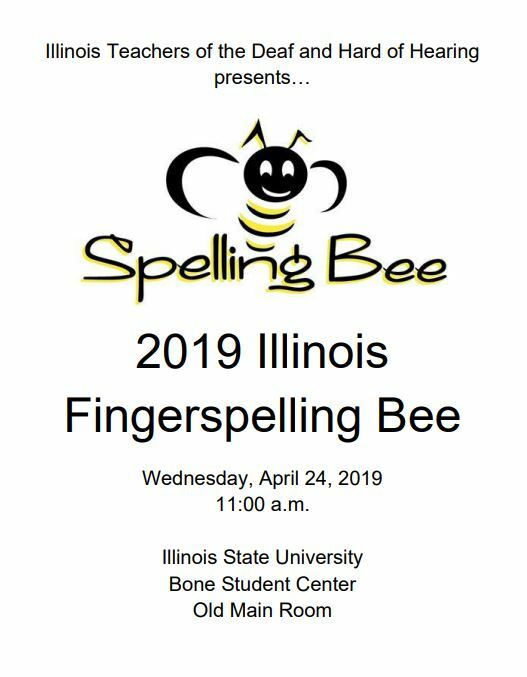 Illinois Teachers of the Deaf and Hard of Hearing presents the 2019 Fingerspelling Bee on April 24.
introducing their 1st annual CHICAGO Parent Conference on May 11th offering the same great content as North of Eighty, South of Eighty and South of Seventy in Chicago. 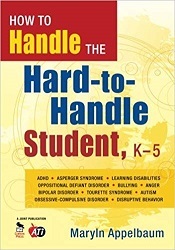 Maryln Appelbaum helps teachers promote students′ ability to handle emotions, regulate their own behavior, and learn in ways that meet their needs and those of the class.